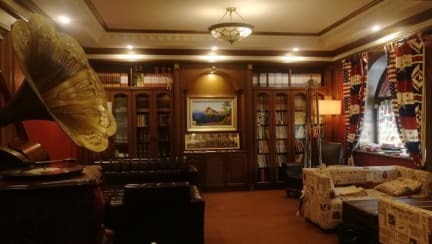 Sweet Postoffice Hostel is located in the famous Daoli District Commercial Center in Harbin. It takes only 2 minutes to walk to the famous pedestrian street, Central Avenue (中央大街 zhōng yāng dà jiē ). The hostel is within walking distance of Hagia Sophia Church, Stalin Park, Songhua River, Zhaolin Park. There is a well-established public transport system around the hostel. Within a 5-minute walk, there are buses to Harbin Station, Harbin West Railway Station and Airport Bus Stop. The hostel offers 24-hour travel advice, 24-hour hot water, English language service, free luggage storage, free WiFi in all rooms, air conditioning and heating in all rooms. Stayed here to see the ice festival. Not a bad value for the room. The location is perfect. 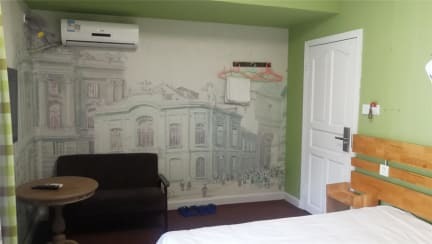 Walking distance to all major city center attractions.. Staff was kind. The common room is cozy and welcoming. Some drawbacks are the hostel didn't sell food or drinks (unless I missed that). Also, the room was not the cleanest or most comfortable. The floors could use a scrubbing and the staff should make sure to clean underneath and around the beds.. Overall pleasant stay.